Ibo Landing: May 1803 will forever be remembered in black history as one that showed the courage of the black race in the face of subjection. During the transatlantic slave trade in Nigeria, the Igbo tribe were revered because they were industrious, proud, independent, performed their duties with little or no supervision. As such, John Couper and Thomas Spalding purchased Igbos for export to the US to work on plantations in Simons Island. Each was to be sold for rates as high as $100. Among those taken captives were 75 Igbo men. When they came out from the ship, they were exposed to the harsh reality of the slavery they are about to be subjected to. Rather than head to the arrival port, one of the Igbo chiefs taken captive gives a directive and suddenly, they turn back to the Dunbar creek singing that the water spirits and their god Chukwu take them back to their land. The song as accounted by Roswell King, an overseer of the Pierce Butler plantation is The Water Spirit brought us, the Water Spirit will take us home where they met their death. Another account by a slave dealer William Mein notes that 10 to 12 of them drowned while some were salvaged by bounty hunters who got $10 per head. Some of those who were recovered were taken to Cannon’s Point on St. Simons Island and Sapelo Island. Locals who stay around there claim that the place is being haunted by the drowned Igbos. 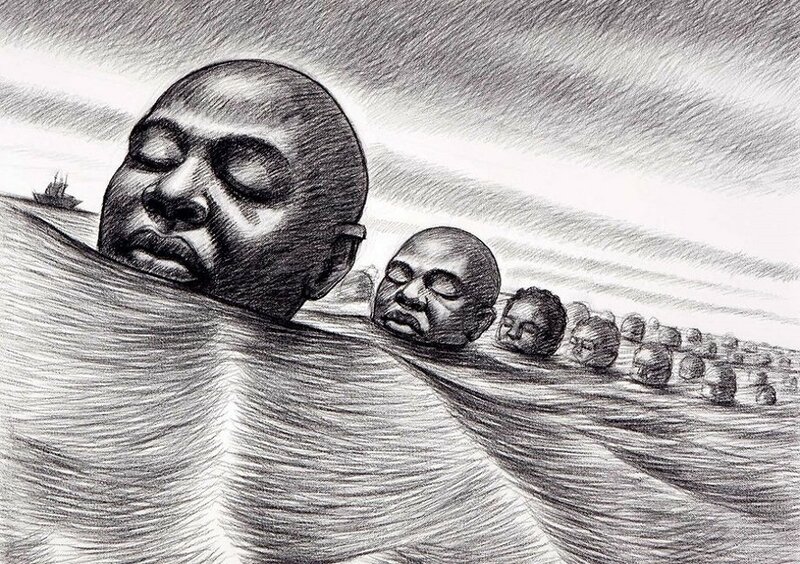 Till date, the Igbo landing is seen as a historic and brave act in the African-American folklore.